The Thunderbird House Post in Stanley Park, Vancouver, British Columbia. The lower half of the Thunderbird House Post features a grizzly bear holding a human being. Its upper half- the half relevant to this article- is dominated by an aquiline figure with outstretched wings- a mysterious character from First Nations mythology known as the Thunderbird. 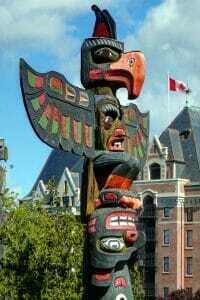 A Thunder Bird totem pole in Victoria, British Columbia. The Thunderbird is a common motif in the indigenous artwork of Canada’s West Coast. 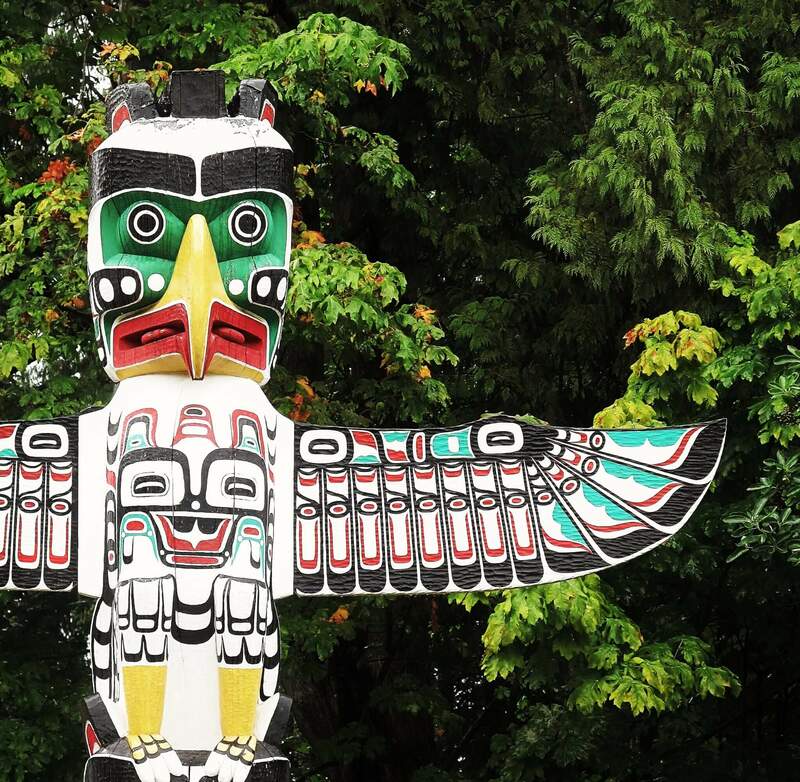 From Haida Gwaii to the Fraser Delta, the image of a great eagle with curved horns serves as testament to an ancient legend shared by the First Peoples of the Pacific Northwest. For centuries, Bella Coola, Nootka, and Tlingit medicine men regaled their fellow tribesmen with tales of a winged monstrosity which once dominated the western skies. Around smoky longhouse fires, they spoke of a massive eagle endowed with the ability to create storms. Lightning shot from its eyes when it blinked, and thunder boomed when it flapped its wings. 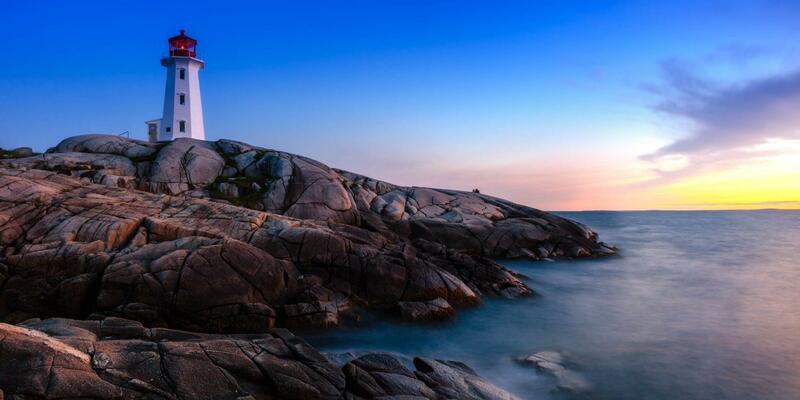 These mythical creatures made their homes among the rocky crags of the Coast Mountains. Their nests were enormous structures composed of tree branches, supplemented by the occasional human bone. The Coast Salish said that, in ancient times, a Thunderbird lived atop the Black Tusk peak in the Garibaldi Range north of Squamish, British Columbia. Every once in a while, it left its perch to hunt killer whales, which it snatched from the ocean like a bald eagle snatches salmon from the river. 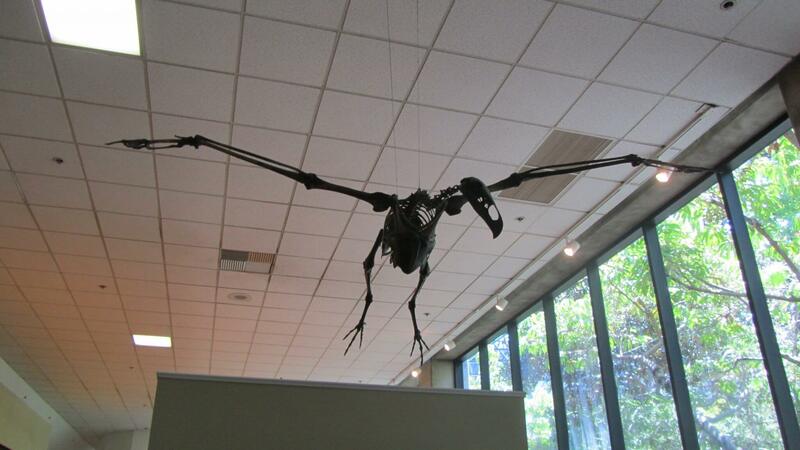 The Coastal tribes had many names for these giant birds. The Kwakwaka’wakw called them “Kwunusela“. To the Bella Coola, they were the “Alkuntam“. 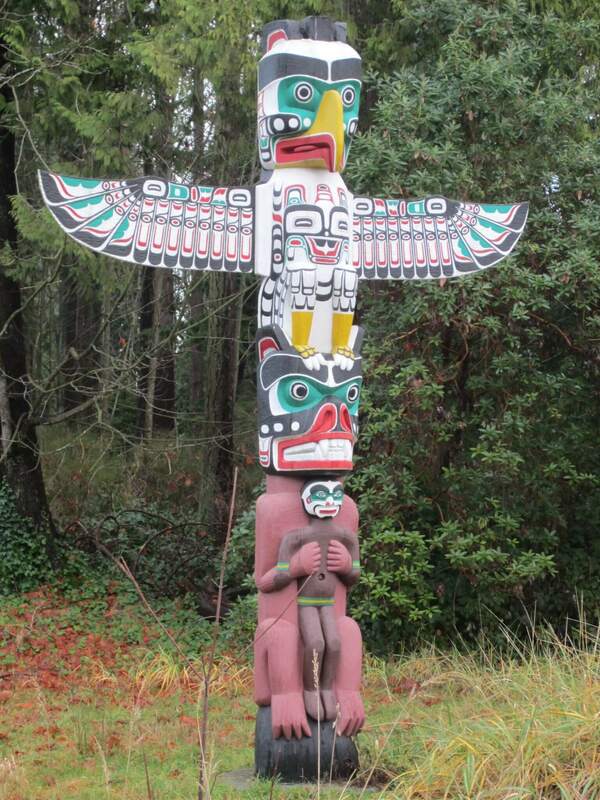 The Haida referred to them as “Ooolala“. Today, we know these monsters as “Thunderbirds”. 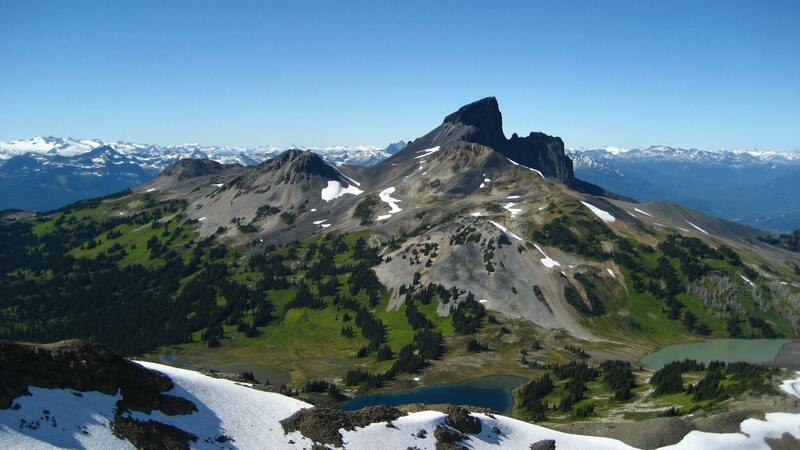 The Black Tusk, British Columbia. It might surprise some Canadians to learn that the legend of the Thunderbird is by no means a phenomenon unique to the Pacific Northwest. First Nations from all over the Great White North have similar legends of a giant bird responsible for the creation of thunderstorms. The Ojibwa, or Chippewa, whose traditional homeland includes the forests of Southern Ontario and Quebec north of the Great Lakes, have their own legend of a giant, thunder-making eagle. In fact, the city of Thunder Bay, Ontario, situated at the head of Lake Superior, gets is name from a translation of the Ojibwa words “Animike Wekwed“- literally “Thunder Bird Bay”. 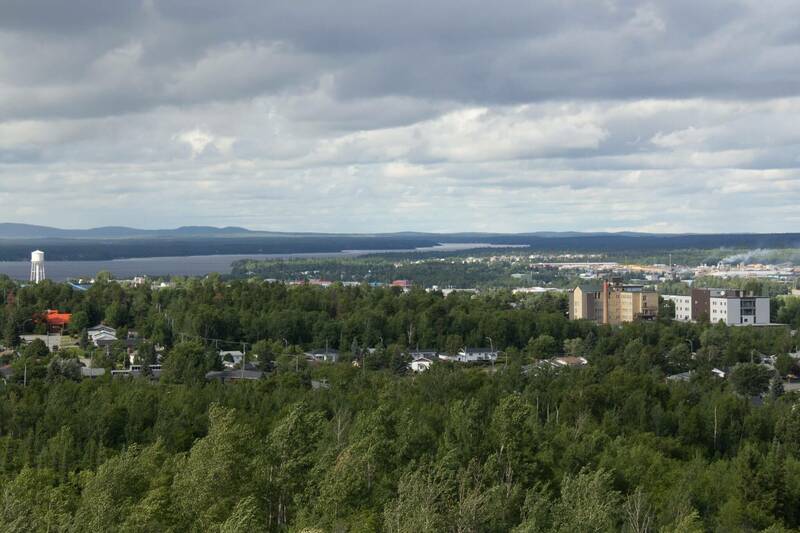 Ojibwa legend has it that a Thunderbird once nested atop Mount McKay, a butte in the Nor’Wester Mountains located southwest of Thunder Bay. The Thunderbird also appears in the mythology of the natives of the Atlantic Northeast. The Mi’kmaq, Maliseet, and Passamaquoddy of Nova Scotia and New Brunswick called this creature the “Cullona”. The Montagnais and Naskapi Indians of Labrador, on the other hand, referred to it as “Met’co”. The Inuit of Northern Canada have their own version of the Thunderbird legend. In his 1875 book Tales and Traditions of the Eskimo, Danish geologist Dr. Hinrich Rink wrote that the Inuit spoke of “fabulous birds” called “Serdlernaks.” These birds hunted seals, and were perfectly capable of killing full-grown men if they so desired. Similarly, zoologist and polar explorer Edward W. Nelson recorded an Inuit story describing “the last of the Thunderbirds.” This avian abomination supposedly lived along the lower Yukon River. There, it preyed upon caribou, and even snatched up the occasional Inuit hunter. 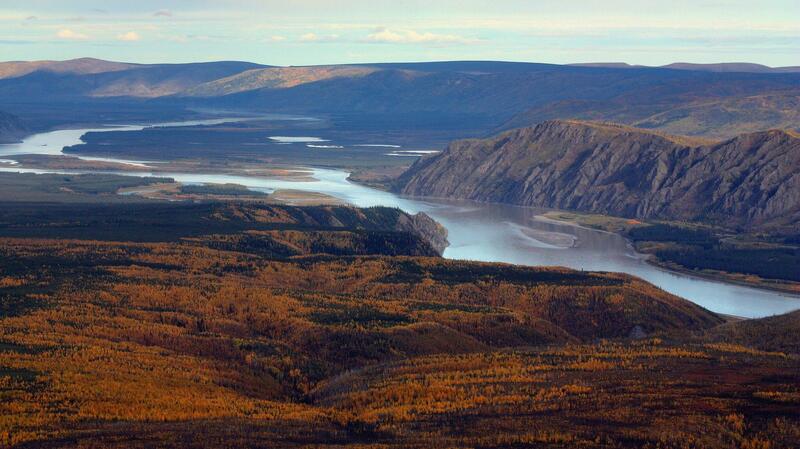 The valley of the Yukon River. The Kootenai Indians of the Canadian Rockies, who traditionally made annual hunting trips east onto the prairies to hunt for buffalo, had their own Thunderbird legends. German-American anthropologist Franz Boas included some of these stories in his collection entitled Kutenai Tales. The Blackfoot were another people of the Canadian prairies with Thunderbird stories. According to French archaeologist Claude Schaeffer, who spent time among the South Peigan Blackfoot of Montana, the Blackfoot called this creature “Omaxsapitau“. “Omaxsapitau” means “Big Pitau“, Pitau being the name the Blackfoot applied to the golden eagle. In 1951, Schaeffer interviewed a Blood Blackfoot named Harry Under Mouse, who told him an incredible story involving his own grandfather’s alleged abduction by a Thunderbird. Harry’s grandfather was a Cree medicine man named White Bear. Despite the animosity which existed at that time between the Blackfoot and the Cree, White Bear married a Blood Blackfoot woman and joined her band. In those days, White Bear was a skilled eagle trapper. In order to catch an eagle, whose tail feathers played an important role in Blackfoot ceremonies, he first found himself shallow pit. Next, he baited the pit with a stuffed animal. Then he camouflaged it with grass and vegetation. Finally, he concealed himself within the pit and waited for an eagle to arrive. 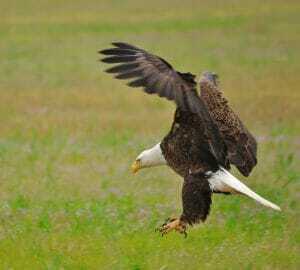 When an eagle sank its talons into the bait, White Bear grabbed its legs and thereby trapped it. 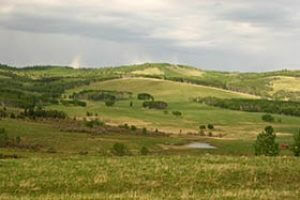 In the winter of 1850, 28-year-old White Bear’s band camped south of Fort Edmonton (present-day Edmonton), Alberta. Their pemmican stores were low, as hunting was poor that fall. To make matters worse, there were few buffalo in that part of the prairies that winter. Inevitably, the band went hungry. Eventually, White Bear and a handful of Blackfoot hunters wandered west into the Rocky Mountains in search of game. Mysteriously, hunters disappeared from the party one by one. In spite of this, the hunters decided to split up so that they would have a better chance of finding food. 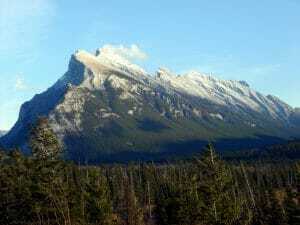 Mount Rundle, east of Banff, Alberta. One day, while camped east of present-day Banff, Alberta, White Bear found a deer. He brought the animal down and set to butchering it. When he finished dressing the carcass, he packed the meat onto his back and headed west. Suddenly, he was surrounded by the shadow of an enormous bird. Before he knew what was happening, White Bear found himself rising into the air. With a thrill of horror, he realized that an Omaxsapitau had grabbed hold of the meat he had packed and was carrying him off to its lair. After a terrifying journey over the mountains, White Bear landed in an enormous nest built atop a high cliff. Bones of various animals lay about him. Some of these were unmistakably human- likely the last remains of the missing hunters. Also in the nest were two baby Omaxsapitau. Using his skills as an eagle hunter, White Bear seized the birds’ legs and jumped out of the nest with them. The baby birds flapped their wings furiously, slowing their descent, and White Bear landed on the ground unharmed. He plucked two arm-length feathers from the baby birds’ tails as souvenirs of his adventure and struck out east for the prairies. Other members of the Blackfoot Nation in addition to White Bear claimed to have seen the Thunderbird around the eastern slopes of the Canadian Rockies. A Blackfoot named Dog Takes a Gun claimed that his parents saw a Thunderbird near what is now Calgary, Alberta, in the 1860’s. 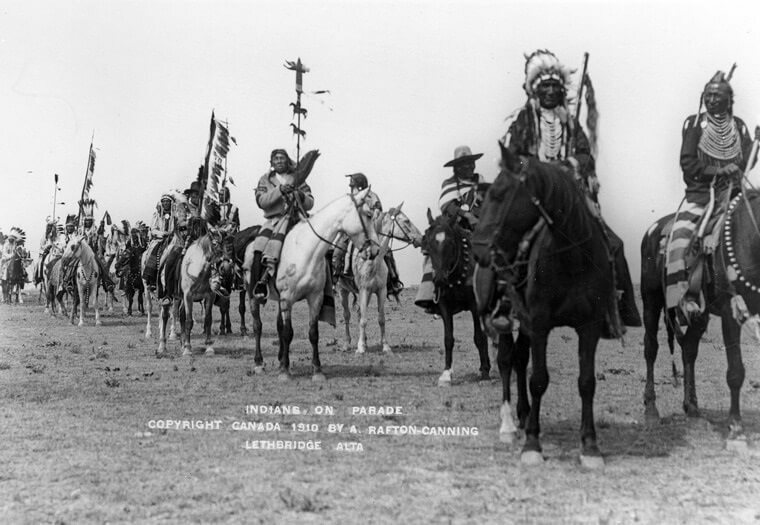 In that same decade, Peigan Blackfoot warriors led by Heavy Runner (whose band was infamously massacred on the orders of U.S. Army Major Eugene Baker in 1870) saw a Thunderbird while on a raiding party against the Crow, which they took to be a bad omen. And according to Claude Schaeffer, the wing of “an extraordinary bird”, perhaps a Thunderbird, was “in the possession of a curio dealer in Calgary” as late as 1940. This wing was initially found by Cree Indians from Maskwacis, Alberta (formerly Hobbema), south of Edmonton, AB. 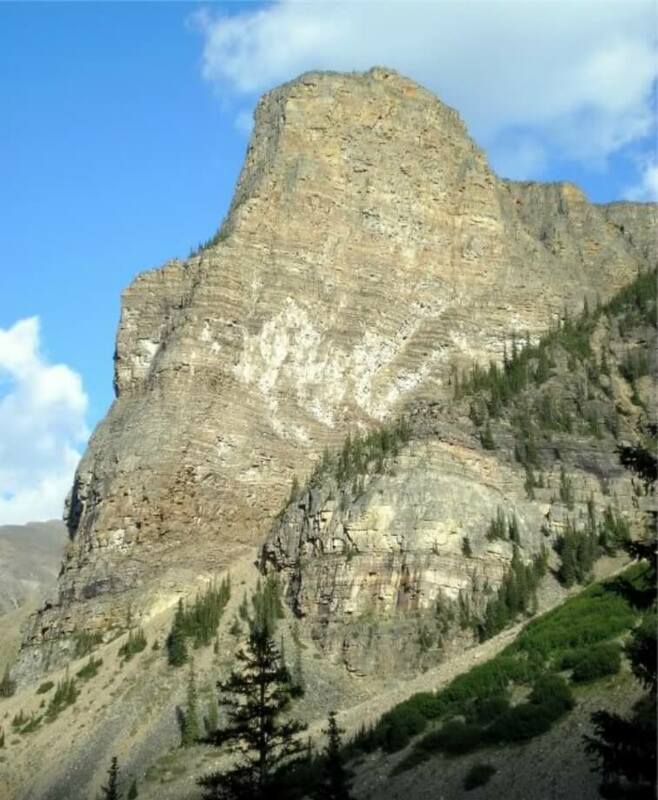 In July 1925, hikers reported seeing a massive bird evocative of the Thunderbird near the Tower of Babel, a mountain in the Canadian Rockies southeast of Lake Louise, Alberta. 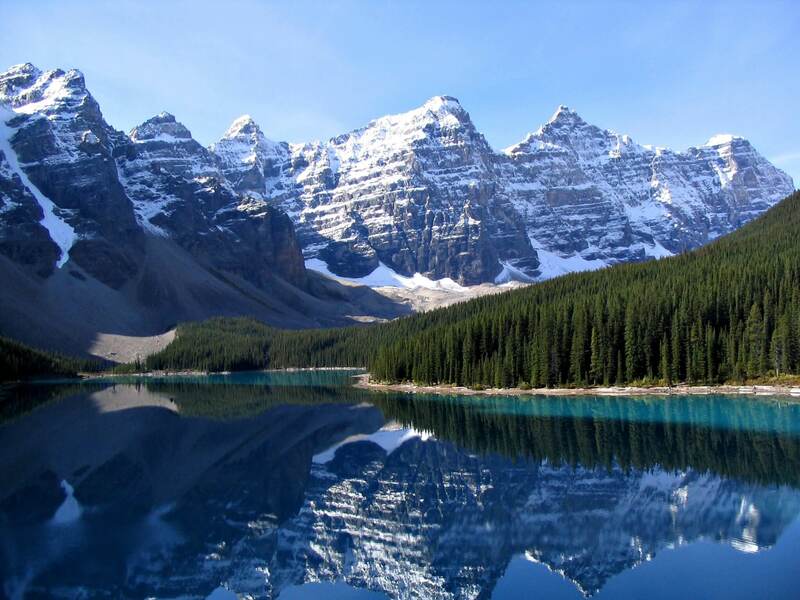 According to Canadian naturalist Dan McCowan in his book Animals of the Canadian Rockies (1936), the hikers “saw an eagle flying at considerable height. As it neared the Tower… it came much lower and they observed that the big brown bird carried an animal of considerable size in its talons.” The bird subsequently dropped the animal, which proved to be a mule deer fawn. A Parks Canada official weighted the fawn at nearly 15 pounds (6.8 kg). The Tower of Babel in Banff, National Park. In the fall of 1974, Daniel Caron, his sister Suzette, and Remi Bassette of Western Quebec saw a large bird near the village of Louvicourt, Quebec, east of Val-D’or. Daniel first saw the bird drinking at a pool of stagnant water. Later, the trio saw the bird flying off with a dead beaver in its clutches. The party described the bird as whitish gray, with a body measuring 4 feet (1.2 metres) in height. The wingspan of this aerial colossus was supposedly so great that the observers were afraid to publicly estimate its length for fear of ridicule. Interestingly, many supposed witnesses of the Thunderbird claimed that it made a loud noise when it flapped its wings. 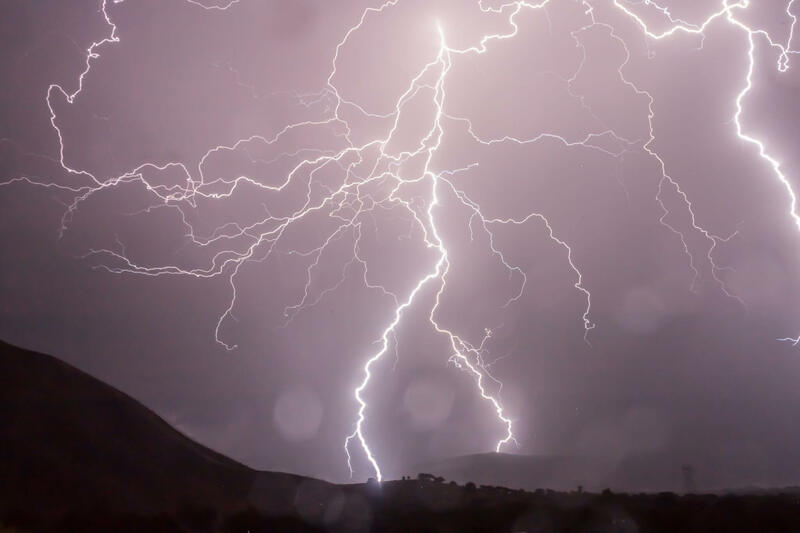 Hall suggested that this characteristic, coupled with the Thunderbird’s occasional appearance during spring thunderstorms, helped to spawn the legend that the Thunderbird was capable of conjuring storms. In his 1951 article Was the California condor known to the Blackfoot Indians?, Claude Schaeffer suggested that the Omaxsapitau- the Blackfoot version of the Thunderbird- was based on encounters with the California condor. Although this rare bird is native to the West Coast of North America, Schaeffer put forth the hypothesis that its habitat once extended east to the Rocky Mountains. In his 1995 book In Search of Prehistoric Survivors, British cryptozoologist Karl P.N. 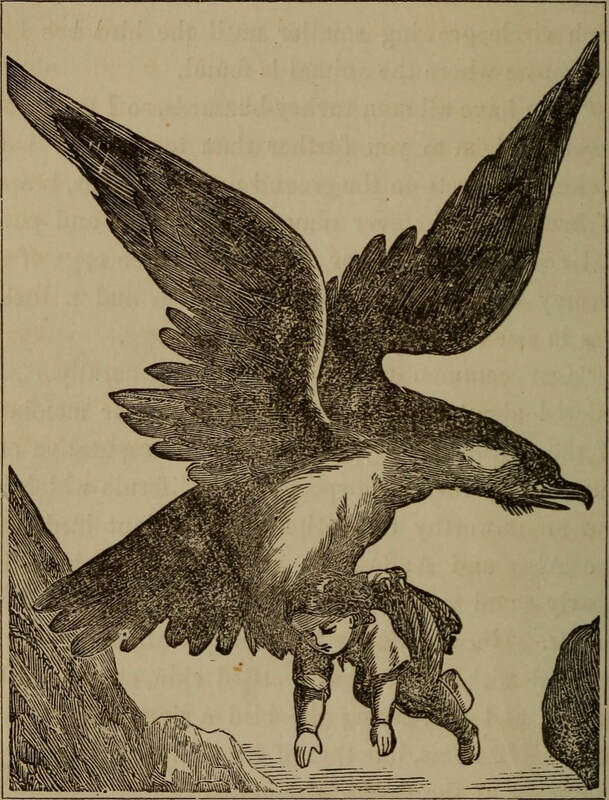 Shuker suggested that the thunderbird of native lore is “a nonexistent composite, deriving from Amerindian observations of three different species…” Specifically, these three species are the golden eagle, the California condor, and an “undiscovered species of teratorn”. The golden eagle is the largest bird of prey in North America. Although these raptors occasionally appear in Canada’s eastern provinces, they are more common in the west. Every fall, golden eagles from Alaska and Northern Canada migrate south, riding thermals down the Rocky Mountains to the Western United States. 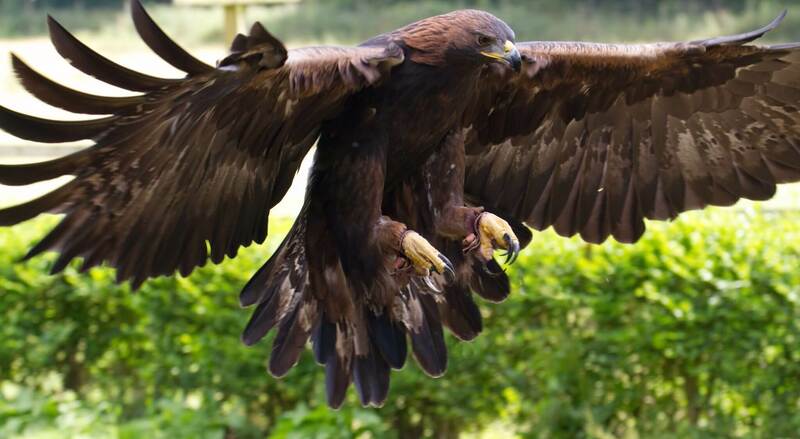 Golden eagles are powerful birds. Their broad wings, strong feet, and muscular pectorals allow them to lift and carry relatively heavy loads. In his book, Shuker recounted several instances in which golden eagles reportedly carried off human children. In 1838, for example, a golden eagle allegedly swooped down on a group of children playing on a mountainside in the Swiss Alps. The raptor sank its talons into a 5-year-old girl named Marie Delex and bore her away. Two months later, a shepherd found Marie’s half-eaten corpse lying on a rock about a mile and a half from where she was abducted. Shuker also related an incident recounted by French biologist Felix Pouchet in his 1873 encyclopedia The Universe. This incident supposedly took place in a schoolyard in Mississippi in 1868. One Thursday afternoon, a golden eagle descended upon a group of young boys playing marbles not far from the schoolhouse. The bird snatched up 8-year-old Jemmie Kenney and climbed into the sky with him. For one reason or another, the raptor dropped Jemmie from a tremendous height. The boy did not survive the incident. Shuker argued that incidents such as these served as the basis for the Thunderbird’s ability to abduct human beings. Native storytellers exaggerated the ‘Thunderbird’s’ weight-carrying capacity for dramatic effect. In time, this mythical bird graduated from snatching children to plucking killer whales from the ocean. The thunderbird’s appearance, Shuker surmised, derived from native sightings of the California condor. 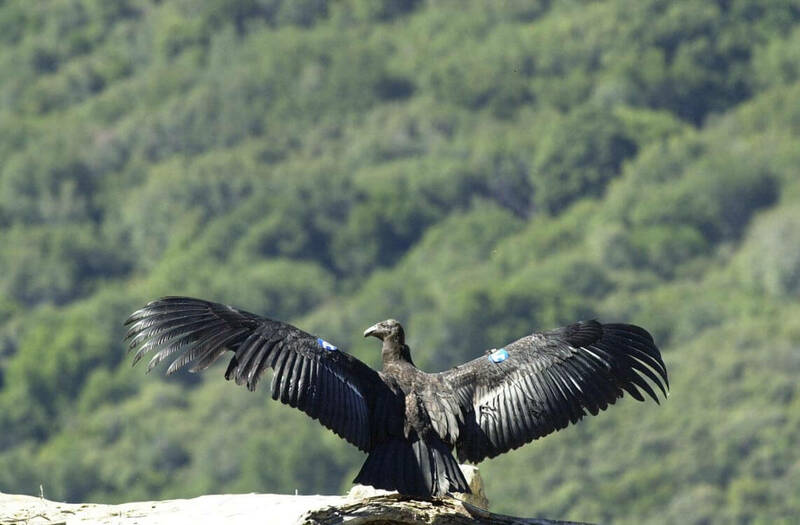 With a wingspan of up to 10 feet, the California condor is the largest land bird in North America. Although this buzzard, with its black feathers and bald head, bears great resemblance to the red-headed vulture of India, it is actually more closely related to the stork. This carrion-eating colossus once dominated the skies of the Pacific Northwest, ranging from the West Coast of British Columbia to the beaches of Baja California. 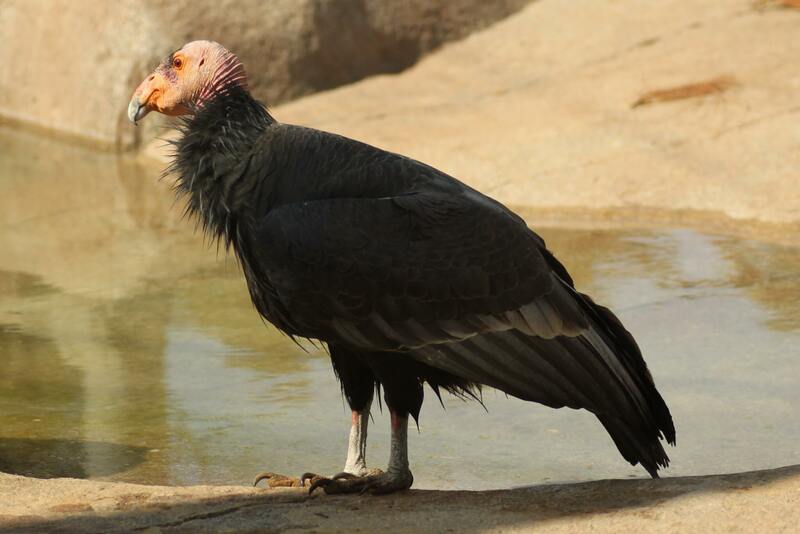 Throughout the 19th Century, settlers hunted the California condor to near extinction. Then, in the late 1980’s, conservationists reintroduced the bird to the Californian wilderness. Today, this endangered species boasts a population of around 500. In his book, Shuker put forth the notion that the ‘thunderbird’s’ tremendous size was inspired by an “undiscovered species of teratorn”. Teratorns are an extinct family of enormous birds believed to have gone extinct near the end of the last Ice Age. Related to New World vultures, these avian behemoths were some of the largest flying birds to ever live. One teratorn species, Argentavis magnificen, had an estimated wingspan of up to 6.07 metres (19.9 feet), making it larger than a Cessna CR-3 aircraft. Shuker postulated that an ancestor of some teratorn species still survived in the Pacific Northwest long enough to be observed by the natives. This creature’s tremendous size, Shuker contended, helped to inspire the legend the of the Thunderbird. According to Shuker, these Pleistocene relicts, despite their size, did not have the ability to carry off enormous prey like the thunderbird of native lore. Like the California condor, they were anatomically related to storks. Therefore, Shuker maintained, they likely had relatively weak feet, and were incapable of carrying heavy prey. There is a Thunderbird legend at the Huron Worshipping Rock called EkareEkarenoindi on Blue Mountain, Georgian Bay, Ontario. Archeological study has shown some anomalous happenings here with the legends of Ondajaante, a mystic cloud shaman.These historic recorded in the Jesuit Records by Father Jean Brebeuf. I personally did see a gigantic black bird on route to Rossport in summer 1995 sitting 20′ on the north side of the highway in the spruce trees. I personally was shocked to see this huge crow-like bird.i believe they are interdimensional brings like the Sasquatch and other cryptozoological creatures. That’s fascinating, Jane! Thank you for sharing. Great story, Hammerson! I’m boggled by the amount of research you have put into it. Wouldn’t it be fascinating to know the actual facts behind these myths? There had to have been an event or events that inspired them. Of course, they likely grew over time.